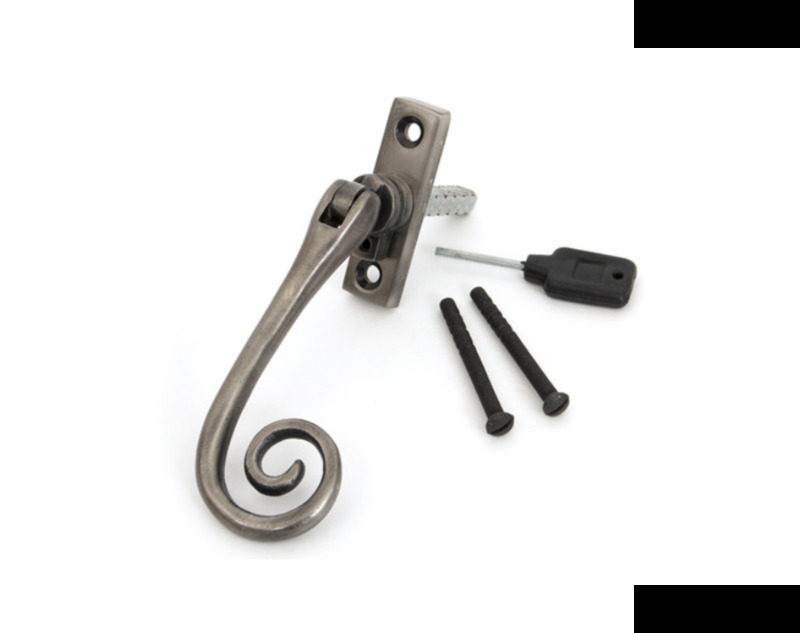 This Slim Monkeytail espagnolette window fasteners is exclusive to From The Anvil and offers the traditional look with a very modern application using our new slimline fixing plate. They can be fitted on any modern espagnolette rod or stand-alone centre lock. They have a 7mm fixed spindle and can be locked by way of a grub screw hidden under the handle. Available in Left Handed version. Supplied with necessary fixing screws.